Bad Boy Reuben Abati, What Is He Going To Do Now? The elite Nigerian Journalist, Reuben Abati, sat comfortably on the Guardian Nigeria Editorial Board and wrote extensively to near exhaustion on topics grand and small, ranging from Nigeria's social and economic ills to the fate of the military juntas he had loathed. Upon ignition of the 4th Republic, he criticized his own kin, former President Olusegun Obasanjo, called him all sorts of names, labeled him with arrogance, inept, corrupt and ineffective on the affairs of state. Then, on the Sharia debacle which had erupted during Uncle Sege's regime, he chimed in to condemn the blood-thirsty Islamic Hausa-Fulani hoodlums and nihilists who assaulted the Christian South, of which majority of the victims originated from the East as carved by the Yakubu Gowon-led genocidal campaign. Following the Holy Jihad blows, came the MASSOB agitation as a result, and Abati wasted no time to deride the entire Igbo enclave as losers and should go to bed, and forget mentioning the word Biafra and, deal with it as losers on the basis they deserve whatever had been happening to them, that Biafra had died naturally and had been buried, and shouldn't be part of Nigerian history. 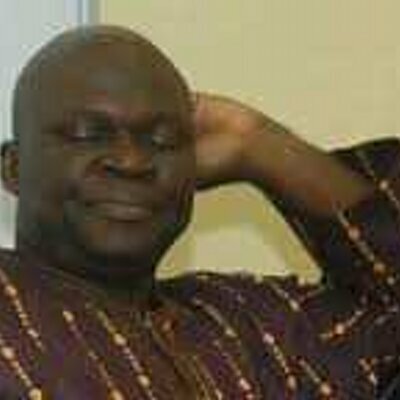 Abati was just running his mouth from the desk of Guardian Nigeria, becoming, as most of his admirers had taken it, well engaged in fine journalism the way he had designed his pen. Ironically, Abati was not picked up by former junta, President Muhammadu Buhari's hit men, the EFCC, for his thought-provoking write-ups on the government's clampdown regarding a radical press and populism, or some of his comics about loose women who flirt with the juntas. The EFCC had knocked on Abati's door for questioning about cash money he had received and wanted to know how he shared the favor among his belly growing journalists, if at all there was any. Abati had agreed he collected money, 50 million Naira to be exact, according to the EFCC, but came short of the bail amount required by the Federal Nigeria agents to uncuff him and let him go home. What is poor boy Abati going to do now? Provide a list of his comrades who benefited from his goodwill? Or confer to former President Egbon Goodluck Jonathan and say to him, did I not tell you? Or plead with the Buhari admirer who opened a Go Fund Me account for his sake, to hurry up with the bail amount as he cherishes his freedom and that designer's pen he had used for years...Maybe, it's time for Babalawo to set in since it's only Abati who knew all the evil spirits that invaded Aso Rock Villa.